Choosing wedding themes seems to be one of the hardest planning pieces that every couple has faced with. Do you like the romantic style, or just want to keep things natural and modern? Once you choose the theme of your wedding, you can move forward with the rest of your whole plans. The followings are the best wedding themes for any style, no matter how unique. Just choose and set the tone for your big day. A traditional wedding theme doesn’t mean boring but means creating a wedding that stands the test of time. If you want to be able to look back on your wedding years from now and still love your wedding dress, hairstyle, flowers, and decoration as much as the day you got married, just choose a traditional theme for your wedding. Pastel colors, delicate lighting, soft music, and plenty of flowers typically make up a romantic wedding. With the love of elegant style and meaningful details, the couple wants to plan each part of their day to bring their beautiful vision to life. If you want a vintage style for your wedding, draw inspiration from decades past. To exemplify a vintage wedding theme, you can rely on antique-looking decors, like weathered doors and worn-in wood seats. Then, finish the vintage theme with a classic getaway car, like an old Porsche or Volkswagen. Protecting the environment even at your wedding doesn’t mean you have to skimp out on the little things. You can use biodegradable confetti as an alternative to rice for your grand exit, or plants instead of flowers as table decor. In addition, nowadays, invitations can now be printed on recycled paper. 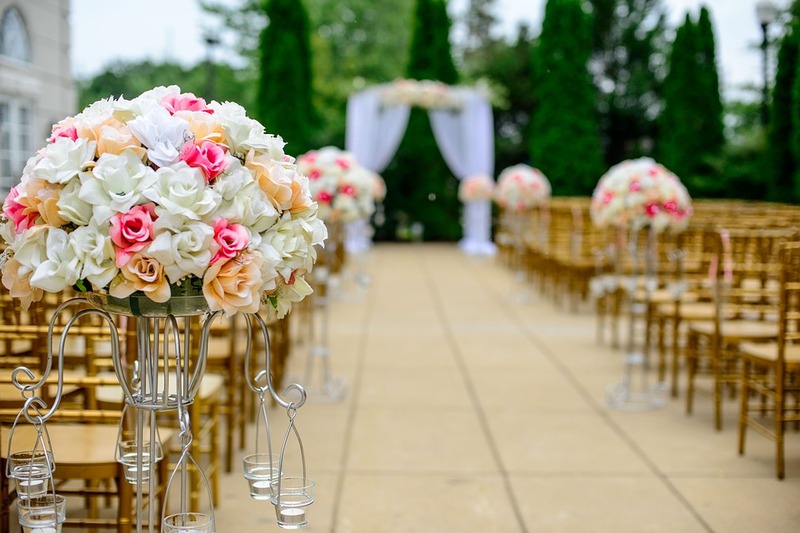 If the weather is suitable, choose an outdoor wedding place to cut back on energy from lighting. If these themes are not suitable for you, there’s nothing can stop you to create your own themes for your important day. It’s your wedding, so everything is up to you.